The page, announcing an 8:30 a.m. launch on Feb. 7, is now gone from her website, and a top adviser suggested Friday it was actually authored and distributed by the GOP. It was on her website so they had to backtrack on that LIE! The GOP has nothing to do with it. 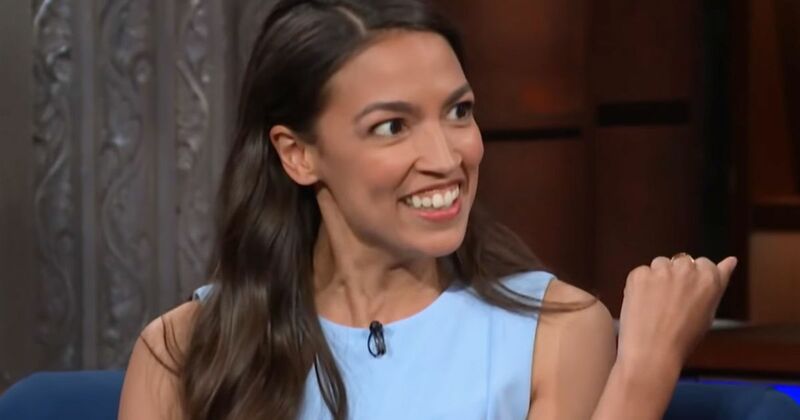 On Feb. 7th, Ocommie-Cortez, D-N.Y., removed the document from her website without explanation but it followed backlash and ridicule. They realized everyone thought they were idiots. "They realized everyone thought they were idiots." Everyone other than Dem's mouth-breathing base..
LOL@ Bolsheviks !..The stupid little bolshevik got sooooo much pushback for the absurd " document "
2. "They realized everyone thought they were idiots." Everyone other than Dem's mouth-breathing base.. Almost all of the little Lefty weasels thought it was a good idea ! ...since he knew that was a very effective way to control and keep watch over the citizenry. 4. LOL@ Bolsheviks !..The stupid little bolshevik got sooooo much pushback for the absurd " document "
that now she has to walk it back. Pity the dem congress members who signed up to support her wacko idea....they look like prize fools. I like looking at her though. Too bad she makes the rest of the left look bad.